Our family just got a little bigger this past week. We have a new leaf on the family tree–another grandchild, a grandson this time. I am very happy to announce the birth of James Ryan Bennett, who weighed in at 8 pounds, 12 ounces, and is 22 inches long. 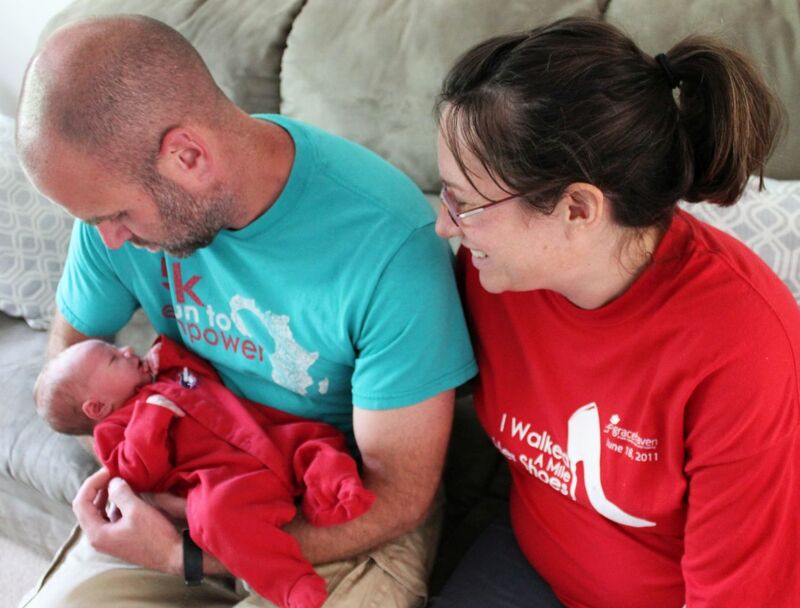 James weighed almost as much as his father, Jeff, who was an even 9 pounds at birth. James is simply a sweet, precious, cute, and adorable baby boy. 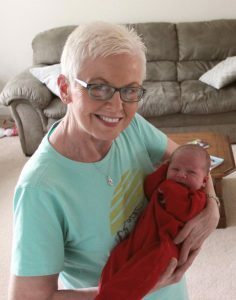 There is nothing like holding a newborn baby and we got to hold him about eight hours after he was born. James Ryan Bennett, June 2017. Mother and son, as well as father and big sister, are all doing very well. In case you are wondering, big sister Chloe was at her other grandparents’ when we were there to see James. 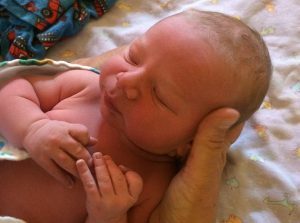 James was born at home with the help of two midwives. Erin felt very comfortable giving birth at home and said it was a very positive experience. Jeff and Erin had a little trouble deciding on a name. There were two other names in the running but we think they made a great choice. James Ryan is a good solid name and he looks like a James. They wanted a Biblical name and the name James certainly fits the bill. Jeff, Erin, and James, a few hours after birth. We now have three generations of Bennett men whose names begin with the letter J: Joe, Jeff, and now James. Jeff and James share the middle name Ryan and so they also have the same initials. Joe, Jeff, and James; three generations of Bennett men. I have mentioned before that there are some very creative names in the Bennett family history. About three generations back Joe’s great-grandfather Henry Brandenburg Bennett and his wife Sarah Milligan named their seven children after U.S. states or territories. Their children were named Nevada, Dakota, Minnesota, Goldsby Alaska, Arizona Landon, Delaware, and Vermont. Vermont was Joe’s grandfather. 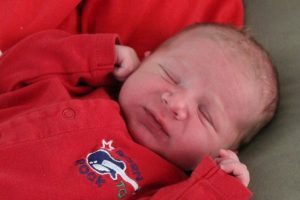 Welcome to the world and welcome to our family, James Ryan Bennett. 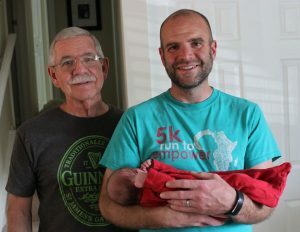 Congratulations and I especially love the photo of three generations of Bennett men. Beautiful baby, just saw your pictures today as we have been in Florida visiting Grandkids and Great Grandkids. That was a fun week with a lot games and fellowship. Thank you! It sounds like you had a nice week with the family.